This is my entry for the lalaland contest . 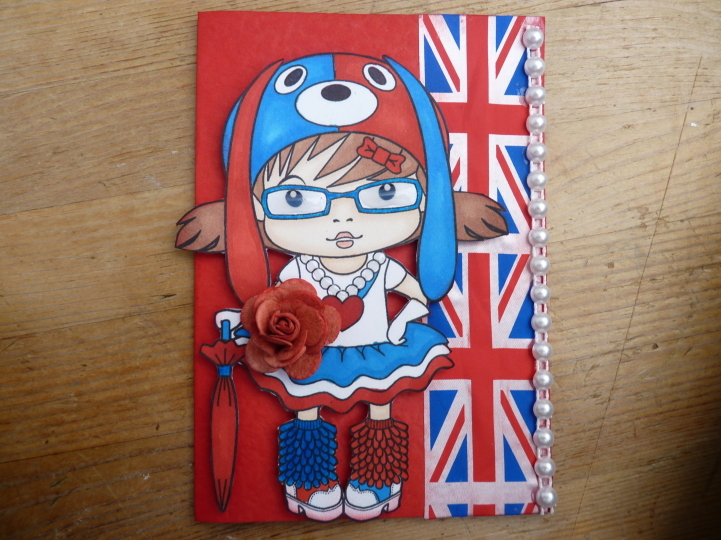 OMG Ollie that colouring is amazing and the halfs on her and the union jack on the edge!!!!!!! Thankyou Darcy,yours is super cute to! I have had fun doing this and I hope you did too,I can't wait for the next one. 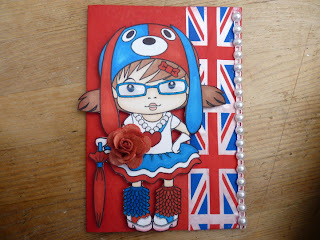 I totally agree with Darcy, your card is stunning and the colouring is superb! You have showcased your country's colours beautifully! Thankyou sue ,It was fun and me and rachel hope to join again! This card is so cute! I love the line of pearls and the coloring of Hunny Bunny Marci! Thanks for playing!